The new Zen version is already 7D on GoKGS, running with just 24 cores, and won one blitz game with no komi against Pavol Lisy 1P so what do you think about it? 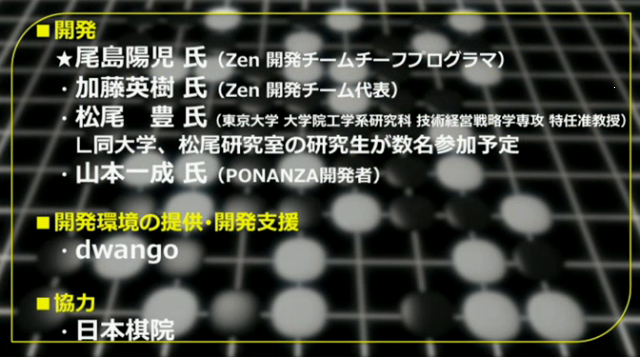 The developer of Zen approached Dwango for support. 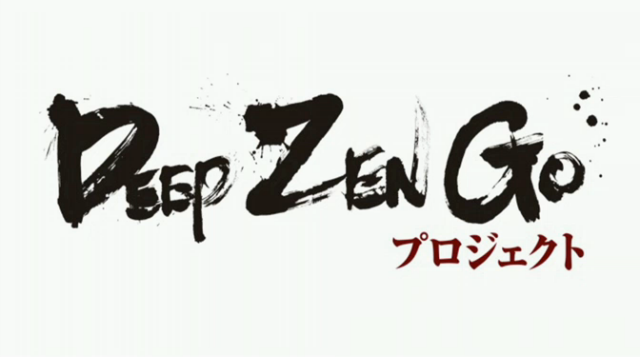 Zen is a personal project and he does not have resources to develop deep learning, and also needs server hardware. Dwango happily agreed to help. Assigning their deep learning expert to the team. Japanese Go Association is also pledging their support. Their goal is to beat AlphaGo in 6 months to 1 year. Currently AlphaGo has better pattern recognition but Zen has better simulation and clustering. So if Zen can catch up on pattern recognition and get access to the same hardware, Zen should be stronger. They estimate AlphaGo to be 500 elo stronger than Zen. They don't think it will be difficult to gain 400 Elo from better pattern recognition and 200 from other modifications. Also, in other news, Crazy Stone developer Remi Coulom is also working very hard on his own deep learning version of Crazy Stone, he already spend a lot on new hardware, mostly GPU. He's quite happy with the progress result and learning the new thing like programming with GPU. He doesn't expect his program to catch up with AlphaGo since he estimated the hardware of AlphaGo to be one million dollar which he's obviously cannot afford (IMHO without a big sponsor like DeepZenGo) He also said that the actual cost of AlphaGo project might be a lot higher than that since the Nature paper only show the method that works, that mean there's a hundred of methods that Deepmind try that didn't work, that will cost a lot of money too. So I think we can expect a lot of 7D+ program to come out later this year. It won't affect much to us since they're already stronger than us, but Pro will most likely benefit the most from this since they can use this as tool or training partner or toy in someway. Without feeding the computers with what to learn as theories or teaching concepts, they cannot easily derive either just from playing strongly. As little as a strong human player does not necessarily make a strong researcher in theory or teacher. I don't want get into nuanced argument here, but just to clarify my original post - I didn't say the computers will develop new theories, but that they'll help humans do it. Perhaps new styles of opening or tengen-based strategies will be possible to develop using automated analysis of results, or refutations of some very popular openings will be discovered. A computer won't be able to teach you general principles, but it may be an excellent reviewer that will show you the correct way you should've played that semeai, a way to kill a given group... - in general, answer specific tactical questions on pro+ level. Robert, I think you underestimate a human's ability to learn from mere examples, without further explanation. pasky, tactical answers often require more than sample sequences: they also require aims, decision-making and choice. In chess, computers began to be of some use for professional players around 1987-1988, when their strength reached master level - amateur dan in Go. So it's likely that a software capable of playing at pro level, in Go, would be of great use for every player, even professionals. BTW, after 10 more years a computer could defeat the best chess player - Kasparov - and after 10 more everyday PCs also could, and with ease. Although progress in computer Go looks slower, I think it won't be long before we see the best pro players defeated by the machine. Although progress in computer Go looks slower, I think it won't be long before we see the best pro players defeated by the machine. Can someone explain exactly what the term deep learning means? Still officially AGA 5d but I play so irregularly these days that I am probably only 3d or 4d over the board (but hopefully still 5d in terms of knowledge, theory and the ability to contribute).